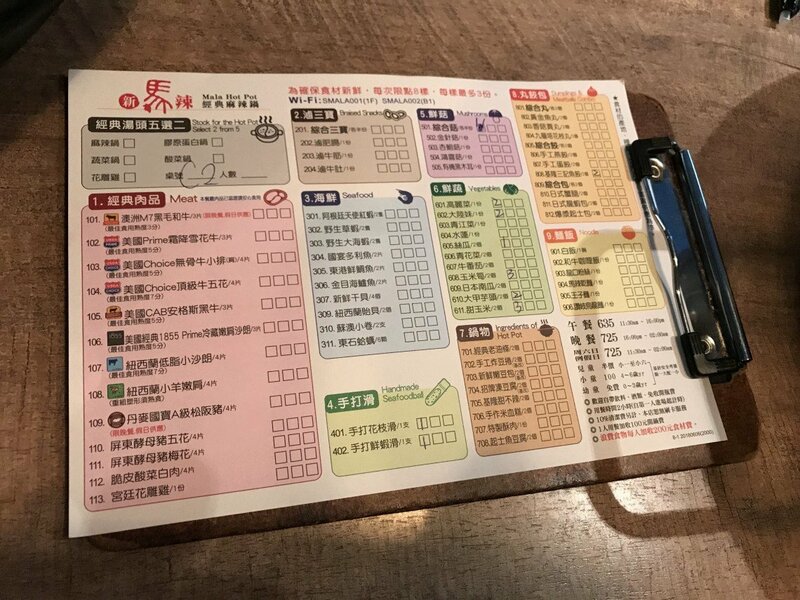 One of the places that friends recommended I check out in Taiwan was Mala Hot Pot (新馬辣經典鴛鴦鍋 / xin ma la jing dian yuan yang guo). I didn’t have a chance to check it out on my first trip, so when family friends took me to Mala recently, I was pleasantly surprised and happy to check this off of my list. If you checked out my last post, you’ll notice that the dumpling meal I had there was around 70 NTD. Mala, comparatively, is more expensive. The amount of food one gets and the quality one experiences justifies the higher cost, though. More on this in a bit. After finishing an escape room, we headed to Mala to get lunch. 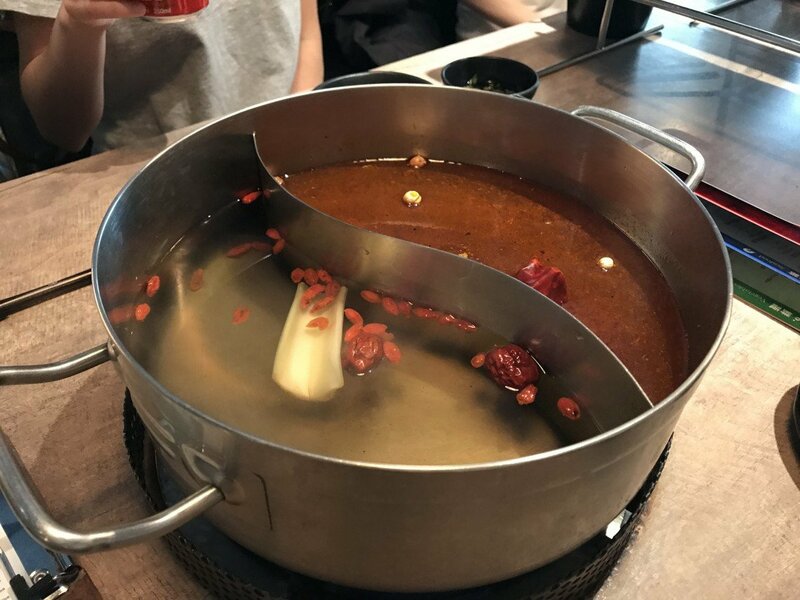 Hot pot, oddly enough, is a big thing even in the hot summer months. It’s an excuse to go inside and have good food in an air-conditioned environment. We waited for around fifteen minutes before our party of seven was seated. 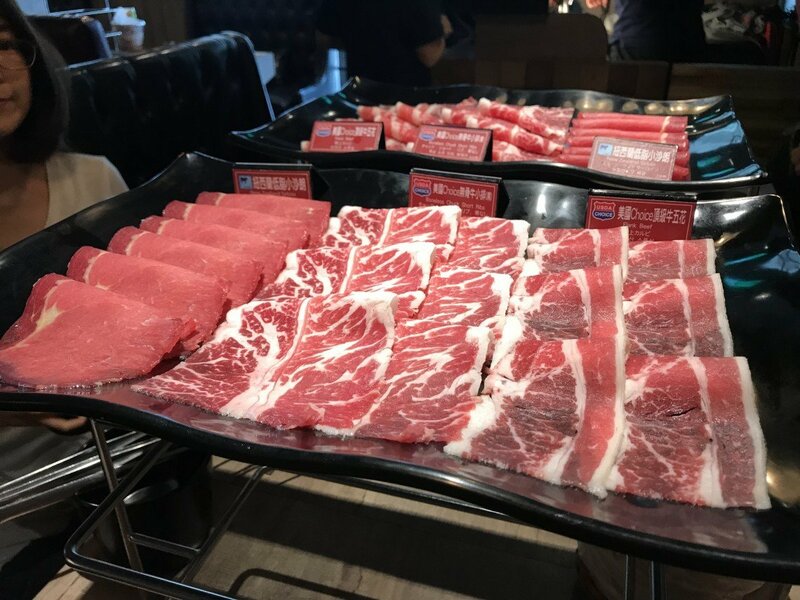 While waiting, I admired the different types of meats, sweets, and drinks I could enjoy. 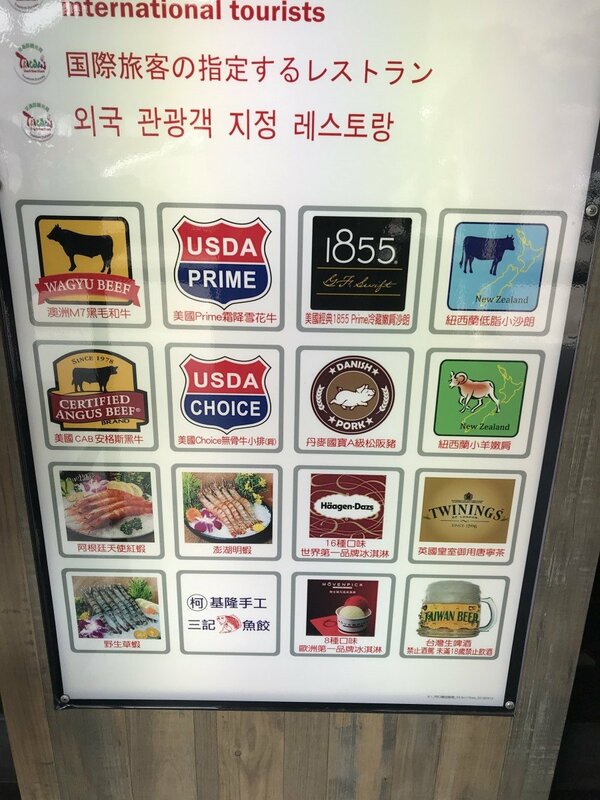 I was particularly amused by the emphasis on USDA Choice meats—yeah, we got that. Looking at a picture menu, I was able to loosely piece together what I wanted in my hot pot. You can write on a separate menu, but soon enough a waiter came by to verbally take our order. They also set up our table quickly with what looked like tray holders, tongs, and baskets for shells. The pictures were pretty impressive, maybe too impressive. Subsequently, I was shocked at the presentation when the brought the food out. Individually labeled meats? Real flora along with to go along with our fauna?! What’s a Mala hot pot without some spice? For our pot, one half was clear broth with goji berries while the other side was spicy. 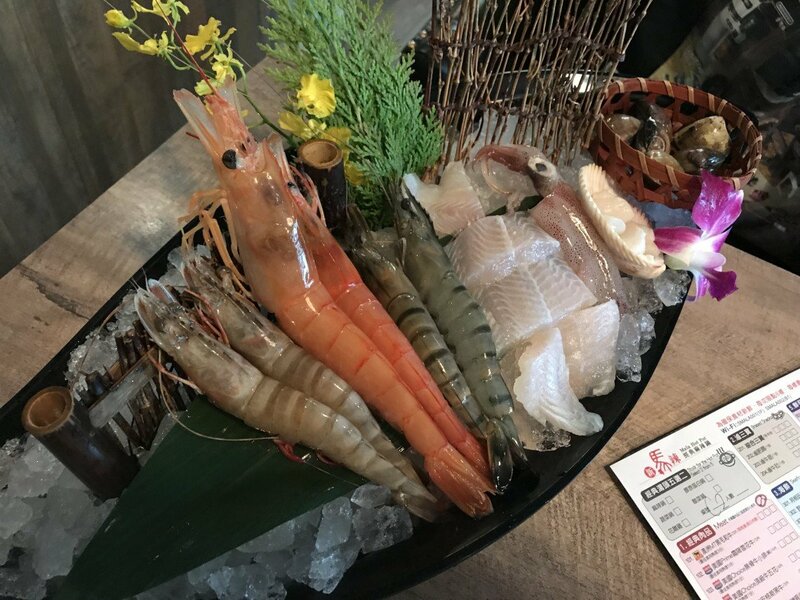 In addition to great meats, seafood, and vegetables; Mala also has a variety of drinks and dessert. I didn’t have much in the way of dessert as it was Haagen-Daz and I was too full. I did try a variety of their drinks, though, including Taiwanese beer, cider, milk tea, and green tea. 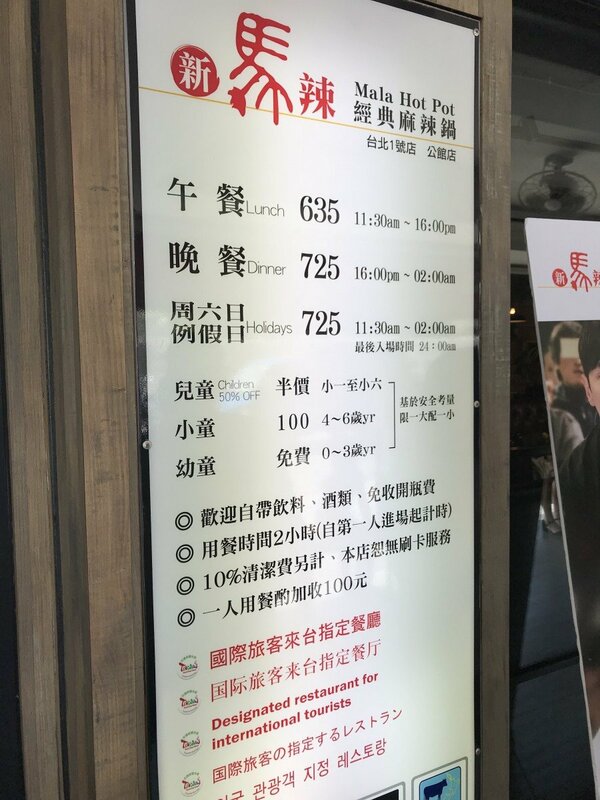 You’re able to stay at the restaurant for two hours. I don’t remember exactly how long we stayed at Mala Hot Pot, but we definitely made the most of our time. If you’re in the area and want to check out an amazing hot pot place, drop by Mala Hot Pot.There are a couple of locations across Taipei. Just be sure to come with a stomach ready to eat. 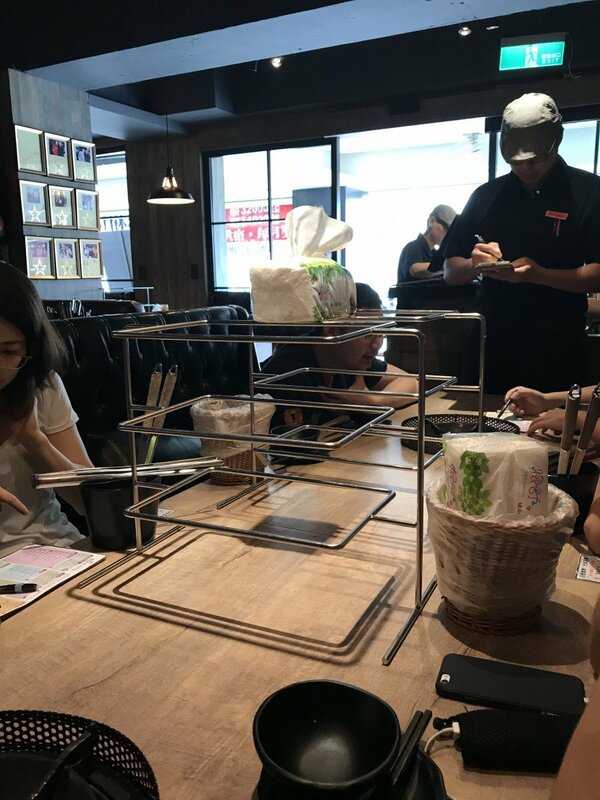 The post Feasting on AYCE Hot Pot in Taipei appeared first on Collecting EXP.